Carbon/Core sounds a lot like a Lustmord album, being that it is dark, groany, moany, stark, and disturbing. Most Lustmord sounds like Lustmord, which isn't a bad thing even if it is a tad redundant. Carbon/Core is simply more of a good thing. Lustmord, by now, has been established as the leader of all electronic musicians who make music that sounds like Hell locked in a dungeon, and I'm a big fan of this particular sound. Being as dark as it is, this album's usage of dissonant string manipulations, deep resonant growls, abyssal gurgling, surprisingly close crashing noises, and jarringly chilling frequencies make for stark soundscapes that really dig deep into the mind to create pictures of wonderful, wonderful, terrible torture through all types of dungeons throughout various points in history and beyond. 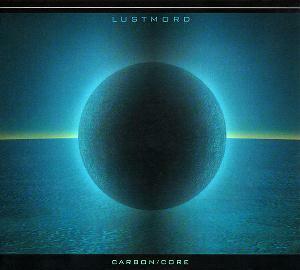 There really isn't much more to say about any of Lustmord's releases. Besides Carbon/Core being another good Lustmord album, this particular album actually does have a couple of my favorite Lustmord tracks on it: "The Conflict of Symbols" features strong dissonant string arrangements backed by terrible abyssal growling, but eventually become beautiful and ambient with a dark ages kind of feel, and "Born of Cold Light" jams almost every possible element that Lustmord could use in a single track to make his music dark, but become very bright and hopeful near the center of the track (actually, this serves as a great relief to the typical Lustmord sound).